We’re looking for a Character Rigger for an unannounced next-gen title. We currently have our own custom built rigging tools but we are looking for someone who has good rigging/weighting skills. The applicant should be able to pick up technical work flows quickly. Position would include some animating from time to time. Candidate should have a basic understanding of Mel scripting or experience in a comparable scripting language. 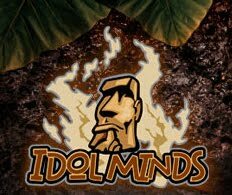 Idol Minds is located in beautiful Louisville, Colorado between Denver and Boulder next to the Rocky Mountains (8 minutes to Boulder, 20 minutes to Denver). Our company offers a relaxed and fun work environment, competitive salary, royalties, moving expenses, health and dental insurance, and a 401k plan. Our location offers close proximity to countless outdoor and metropolitan activities. We have immediate positions available for full time employment. The people we're looking for are well organized; detail-oriented, and enjoy working in a relaxed but hard working team atmosphere. If you are a talented and highly skilled individual with a passion for creating exciting games, come join our team. If this describes your talents, then please send us a submission of your work along with your resume. • Solid understanding of character setup.